Udon Noodles and a bag of corn on the cob. 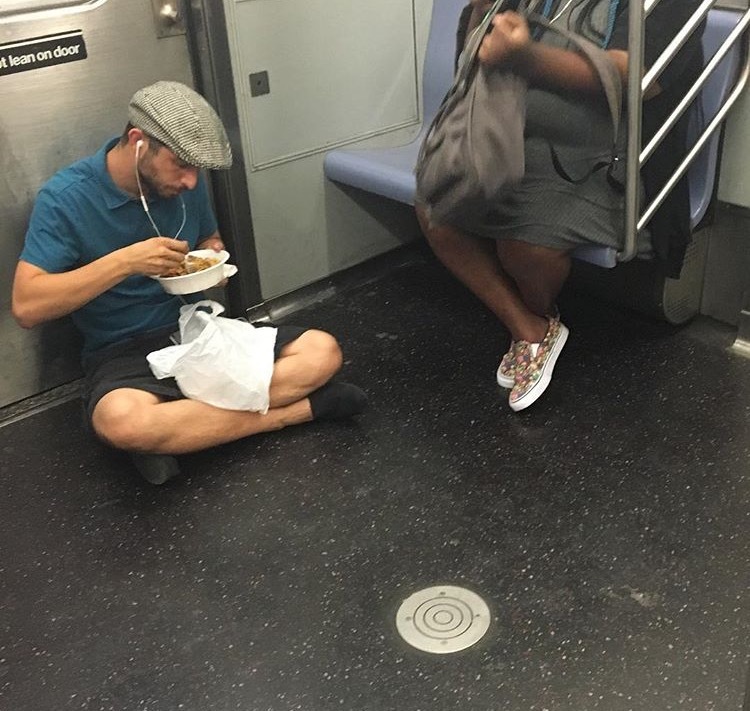 How else do you ride the subway on a hot summer day? Photo by Carl T.